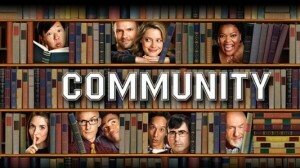 Can Community Come Back From The Gas Leak Year? 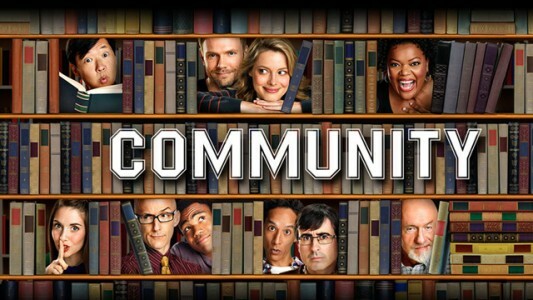 To the shock of just about everyone, Community is back on NBC. Last year they kicked out the creator of the show Dan Harmon, so they could make it less weird and more accessible, but all they really did was make it more unwatchable. This year they brought back Dan, and the show is much better with him. The writers answer the questions about why the study group would all come back to Greendale after graduating, by showing how woefully Greendale prepared them for life outside its walls. It also makes some great Scrubs references along the way. Community has gone back to its roots of showing weird people doing weird things for inexplicable reasons, but it did take on a darker tone. As I stated before the study group was not ready for post Greendale life, and they paid dearly for trying to venture out in to the world beyond. This may truly be the darkest timeline, but for now they are back doing what they do best, being a dysfunctional family/study group. The group has changed, with Peirce being gone, <Spoiler>Jeff is now a teacher</Spoiler>, and the writers preparing to write Troy off the show. These changes have seemed to work to the show’s benefit for the most part. I will miss Troy, but he was always just a sounding board for Abed, so I think it will be fine. Community is still not for everybody, but it never was, so when they changed it up last season, now known as the “Gas Leak” year, they just made it so it was for nobody. It is back to being a show for a select audience, but at least we few who watch it are now much happier. If this season is its last (we say that every season), at least it looks like it will be remembered fondly, and not as the less funny “Gas Leak” version. I stopped watching after a few episodes last season, but I’m going to jump back in. I would at least give it a try. I thought it was much better, but that may be because I wanted to believe it was better. Why was it called the “Gas Leak” season? Part of the arc or an inside joke? Yeah it was an in joke created by the story ark. Previous PostPrevious Why Can’t We All Get Along?! Next PostNext CES 2014 Is Here! So What?